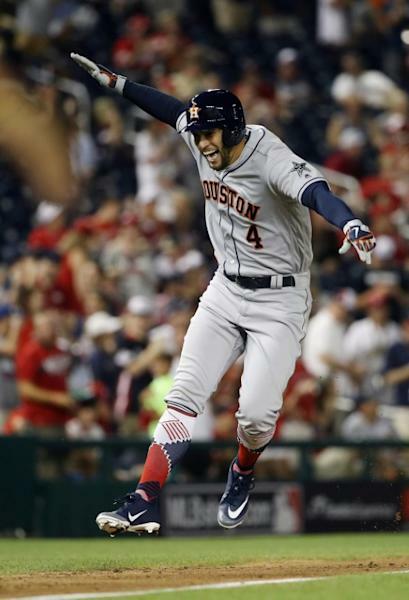 Back-to-back home runs by Houston Astros stars Alex Bregman and George Springer, part of a record 10-homer slugfest, powered the American League over the National League 8-6 in Tuesday's Major League Baseball All-Star Game. Each side blasted a record five homers to shatter the old combined All-Star Game mark of six last managed in 1971, but the decisive blasts came in the 10th inning from two members of the World Series champion Astros. Two outs from defeat in the ninth inning, the National League equalized at 5-5 on pinch-hitter Scooter Gennett's two-run homer off American League relief pitcher Edwin Diaz. 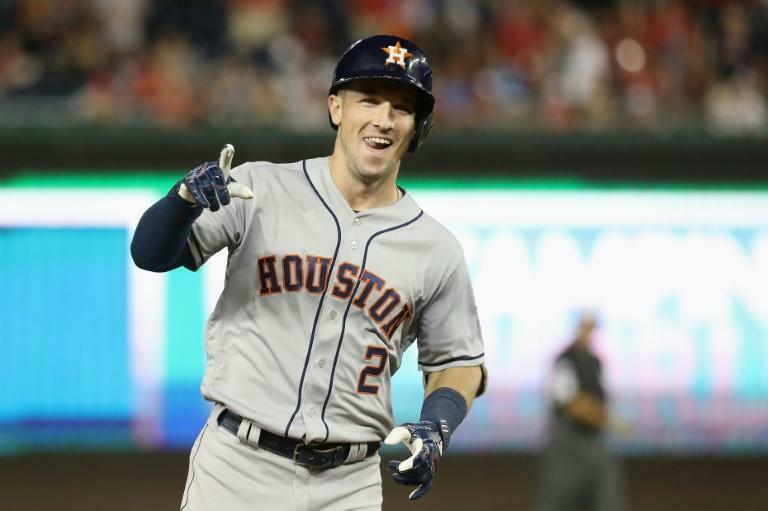 But AL third baseman Bregman, named the All-Star Game Most Valuable Player at age 24, homered to open the 10th and outfielder Springer followed with another blast off Los Angeles Dodgers right-hander Ross Stripling for a 7-5 American League lead. "To be able to hit the go-ahead homer is, I don't know, I'm on cloud nine," Bregman said. "I kind of went into battle mode. Tried to hit a liner down the middle and it went yard. That was kind of cool." They were only the sixth back-to-back homers in All-Star Game history and the first to occur in extra innings. Bregman helped the United States win the World Baseball Classic last year before his first full major league season, then played a key role in Houston's run to its first World Series title. "He just never ceases to amaze me with how well he shows control in pressure situations," said AL and Astros manager A.J. Hinch. "His heart beats big for us in the big moments." Jean Segura, who belted a three-run homer in the eighth to give the AL a 5-2 edge, singled after Springer and later scored the only run not produced by a homer on a Michael Brantley sacrifice fly. Joey Votto led off the National League 10th with a homer to create the final margin, but Toronto Blue Jays left-handed pitcher J.A. Happ, who wasn't expected to take the mound, retired the next three batters to end the three-hour, 34-minute spectacle. "It didn't make me happy we were going to extra innings but I was happy for J.A. Happ," Hinch said. "To get the last out for him was pretty meaningful." 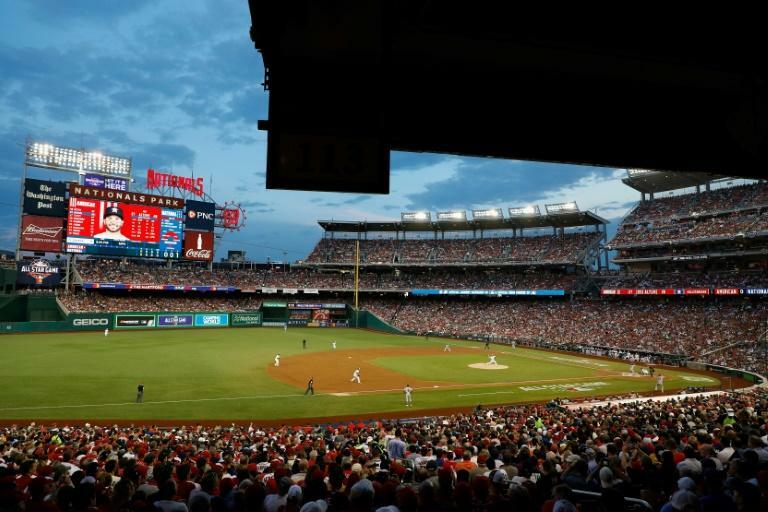 The American League took a 44-43 lead with two drawn in the all-time rivalry before a crowd of 43,843 in the first meeting of select squads in the US capital since 1969. It was the American League's sixth consecutive victory and 18th in the past 21 contests. Diaz was the winning pitcher with Stripling the loser and Happ getting the save in the highest-scoring All-Star Game since 2002, which had 25 strikeouts as well as 10 homers. "Standard operation these days," Hinch said. "At the start we wondered if anyone was going to get a hit that wasn't a home run. At the end it was, 'Are we going to have enough pitching to get out of this mess?' We had just enough left in the tank." Chicago Cubs catcher Wilson Contreras, Colorado shortstop Trevor Story and Milwaukee outfielder Christian Yelich also hit solo homers for the National League. New York Yankees slugger Aaron Judge and Mike Trout also hit solo homers for the American League. Bregman said last year's intense situations playing for titles helped him come through in the All-Star Game. "I like going head-to-head and best man win. I feel like I've been in those situations a lot in two years," said Bregman. "Each time you fail gets you better the next time you're in that situation. To come through in that situation was cool." Bregman's grandfather was an attorney for the Washington Senators, who moved to Texas in 1971, and helped the club land baseball legend Ted Williams, for whom the All-Star MVP trophy is named, as the club's general manager. "My dad grew up on Ted Williams' lap," Bregman said. "So to see Ted Williams MVP on this trophy is pretty special."